1. Standard Membership is open to anyone with an interest in Health Qigong. 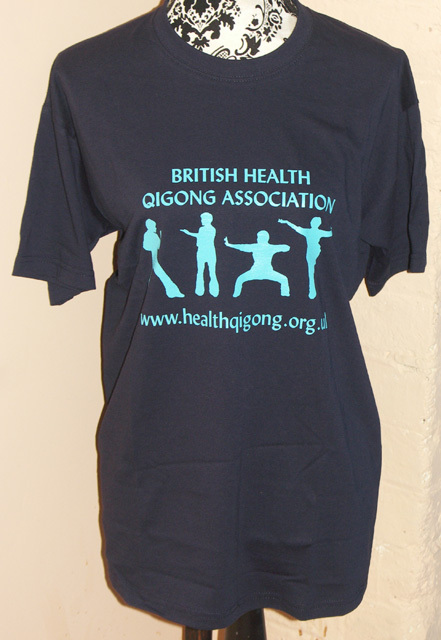 Membership currently costs £24 pounds sterling per annum, and includes a membership card, a BHQA T-Shirt and discounts for BHQA organised events. 2. Instructor Membership is open to all practitioners of Health Qigong who have successfully completed a BHQA organised Instructor Training Course and qualified as Health Qigong Instructors. The cost of the year's Instructor Membership is included in the fee for the training course. Subsequently, instructor membership renewal costs £40 pounds sterling per annum (unless attending another Instructor Training Course, see 'Special Note' below). Instructor membership includes voting rights, an information and referral service, membership card, T Shirt, and discount from BHQA organised events. There is also the option of having a certificate and/or insurance. To apply for new membership, or renew an existing one, please fill in the online BHQA Membership Application Form. You will have the option to pay online by Card or PayPal, or make a Bank Transfer, or send a Cheque in the post. Please note that in an effort to keep admin work to a manageable level, all memberships run from 1st April to 31st March the following year (Membership can be taken out anytime during the year, but the expiry date is always the following March 31st). A membership renewal reminder email is sent to all members in the month before the new membership year begins. Enthusiasts can become a member at any time of the year, but please note concessions are not given for any midway membership registration. Fees are kept as low as possible to encourage participation, and the member discounts on seminars at our base, and on the purchase of training accessories can easily surpass the membership fees. All BHQA Members attending our BHQA Instructor Course training seminars have their annual subs included in the course fees. Their membership is updated automatically in the April prior to the Instructor Course, and no additional subs payment is required. Please note this exemption does not apply if you are only attending for revalidations.